William Faulkner, American author (1897-1962), received two Pulitzer prizes for literature, the Nobel Prize for Literature, and two National Book Awards. He was born in New Albany, Mississippi in 1897, and lived most of his life in Oxford, Mississippi. 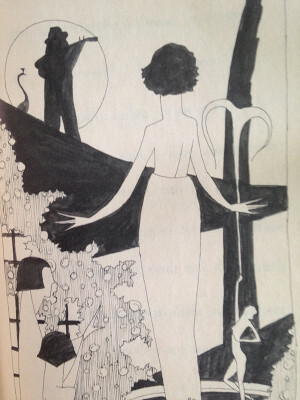 His first book, which he printed by hand, illustrated and bound while a student at the University of Mississippi in 1920, was “Marionettes.” Much of his early work was poetry, such as the romantic sonnet sequence, Helen: A Courtship. 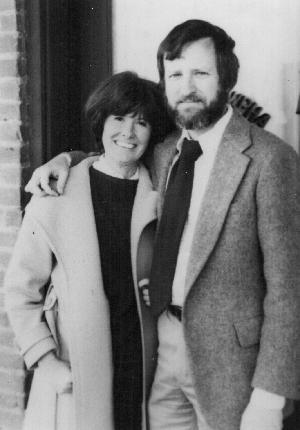 His novels set in the American South, frequently in his fictional Yoknapatawpha County, include The Sound and the Fury, As I Lay Dying and Absalom, Absalom! He died on July 6, 1962. Marionettes by William Faulkner Deluxe facsimile boxed edition of William Faulkner's first book, a one-act play which he wrote, illustrated, handprinted and bound by hand as a college student in 1920. 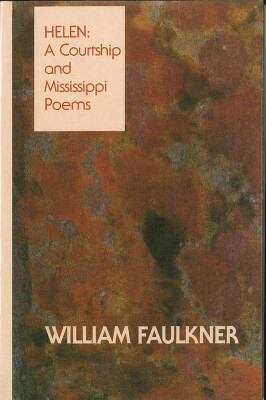 Two collections of early poems by William Faulkner; a sonnet sequence dedicated to his sweetheart, Helen Baird, c. 1925; and "Mississippi Poems," c. 1926, which were typed for Faulkner at the law office of his mentor, Phil Stone. Each section has a separate scholarly introduction; "Helen: A Courtship," intro. by Carvel Collins; "Mississippi Poems," intro. by Joseph Blotner.